By mapping out the context of the past, present and future of leadership, including a focus on values, Inspiring Leadership looks at developing authenticity and using emotional intelligence to better cultivate a high level of self-awareness in every leader. 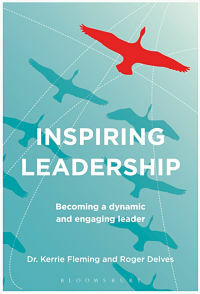 The book offers invaluable insights on how best to ‘practise’ leadership, using the techniques and leadership perspectives that are most commonly used in business school interventions around the world. Leading for growth – the secrets of self awareness and ‘spiky leadership’. Patricia Hind.